AUSTRALIAN Daria Gavrilova has eased into the third round at the WTA event in Indian Wells with a 6-2 6-2 victory over Romanian Mihaela Buzarnescu. Gavrilova required just over an hour to secure the win in California, winning 82 per cent of first-serve points and more than half of her break opportunities. She will next play either American Sofia Kenin or Ukrainian Elina Svitolina. 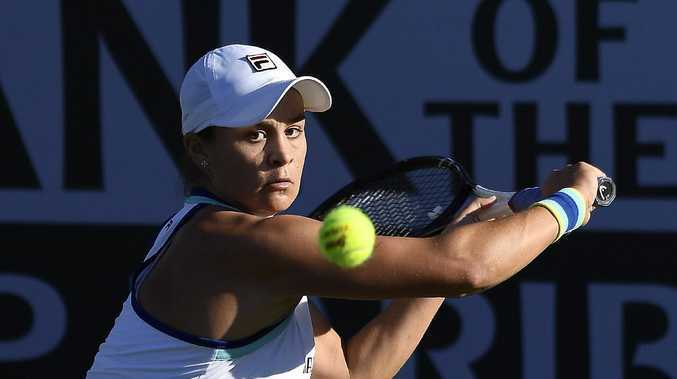 Compatriot Ash Barty followed suit with a 6-4 6-4 win over German Tatjana Maria in just under 90 minutes. She will face American Jennifer Brady. World No.12 Barty hit five aces and won more than half of all return points. Aussie men Alex Bolt and Alexei Popyrin also won through at the ATP event in Indian Wells. Bolt ousted Latvian Ernests Gulbis 6-3 5-7 6-2 in a little over two hours, and Popyrin cruised to a 7-6 6-3 win over Spaniard Jaume Munar. Earlier, Matthew Ebden was eliminated at the hands of Croatian Ivo Karlovic, and John Millman fell to German Jan-Lennard Struff in straight sets. But Aussie Jordan Thompson proved too strong for Argentinian Federico Delbonis, winning 6-4 6-7 (6) 7-6 (5) in a three-hour match.